Project – A website and brand refresh that breaks the mold for a financial services firm. Strategy and Creative – Paperchase came to us looking for something new in an industry hesitant to break convention. 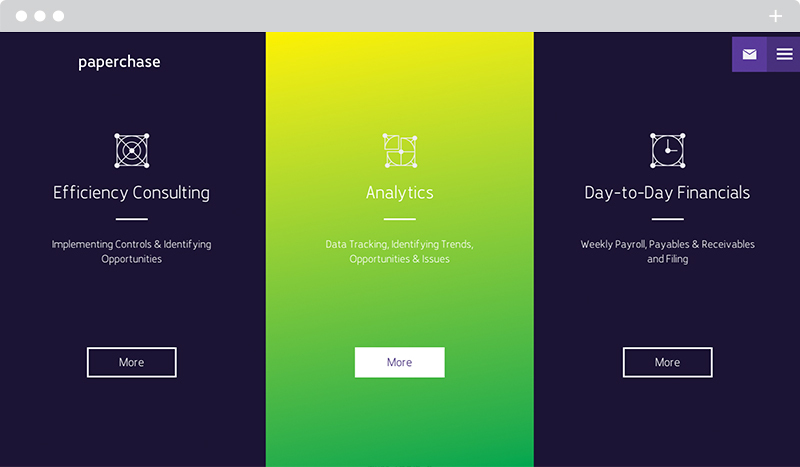 We set out taking inspiration from the client’s systematic and data centric approach. A vibrant, modern and precision driven feel was developed through logo, iconography color palette, typographic assets and copy writing. The brand came to life through a streamlined mobile website and impactful print collateral. Results – Paperchase is turning heads and challenging the standard for design within a typically stodgy financial field.